in "Atomic- and Nanoscale Magnetism" ed. R. Wiesendanger, pp 343-358, Springer, Cham, (2018). in "Atomic- and Nanoscale Magnetism" ed. R. Wiesendanger, pp 249-265, Springer, Cham, (2018). Appl. Phys. Lett. 113, 172403, (2018). Rev. Sci. Instrum. 89, 036103, (2018). Phys. Rev. B 97, 024426, (2018). J. Magn. Magn. Mater. 447, 96, (2018). Nature Phys. 14, 126, (2018). Appl. Phys. Lett. 111, 132403, (2017). Phys. Rev. B 96, 060410(R), (2017). Phys. Rev. Applied 8, 024008, (2017). Phys. Rev. B 95, 184305, (2017). New J. Phys. 19, 033002, (2017). Nano Res. 10, 456, (2017). Phys. Rev. B 94, 134413, (2016). Phys. Rev. B 94, 094430, (2016). Opt. Express 24, 23162, (2016). Appl. Phys. Lett. 109, 132401, (2016). J. Appl. Phys. 120, 033902, (2016). Appl. Phys. Lett. 108, 142401, (2016). Phys. Rev. B 93, 014426, (2016). Sci. Rep. 6, 18615, (2016). Phys. Rev. Lett. 115, 187403, (2015). Phys. Rev. B 92, 140402(R), (2015). Phys. Rev. B 92, 054406, (2015). J. Appl. Phys. 117, 105306, (2015). Europhys. Lett. 109, 17001, (2015). Phys. Rev. B 90, 184410, (2014). Rev. Sci. Instrum. 85, 103110, (2014). New J. Phys. 16, 083012, (2014). 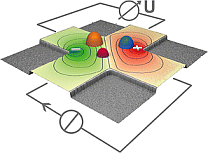 Comment on "Hybrid magnetoresistance in the proximity of a ferromagnet"
Phys. Rev. B 90, 016401, (2014). Phys. Rev. B 90, 014404, (2014). Phys. Rev. B 89, 174426, (2014). J. Synchrotron Rad. 21, 722, (2014). J. Phys. : Conf. Ser. 499, 012009, (2014). J. Appl. Phys. 115, 103909, (2014). J. Phys. : Conf. Ser. 463, 012023, (2013). Appl. Phys. Lett. 103, 131601, (2013). Synch. Rad. News 26, (6), 27, (2013). Phys. Rev. Lett. 110, 234801, (2013). Rev. Sci. Instrum. 84, 051301, (2013). J. Appl. Phys. 113, 163902, (2013). Rev. Sci. Instrum. 84, 013906, (2013). IEEE Trans. Magn. 49, 1077, (2013). Nano Lett. 13, 2199, (2013). New J. Phys. 15, 013019, (2013). J. Appl. Phys. 113, 023902, (2013). Philos. Mag. 92, 2835, (2012). Phys. Rev. B 86, 184427, (2012). Proceedings of the 2012 Summer Computer Simulation Conference 2012, Simulation Series 44, (10), 9-14, (2012). Nat. Commun. 3, 1100, (2012). Open Surf. Sci. J. 4, 55, (2012). Phys. Rev. B 86, 064432, (2012). J. Appl. Phys. 111, 07B336, (2012). Rev. Sci. Instrum. 83, 023708, (2012). Phys. Rev. B 84, 205431, (2011). Phys. Rev. B 84, 155325, (2011). Phys. Rev. B 84, 104412, (2011). J. Appl. Phys. 110, 024309, (2011). Phys. Rev. Lett. 106, 217207, (2011). Rev. Sci. Instrum. 82, 033704, (2011). IEEE Trans. Magn. 47, 214, (2011). Opt. Express 18, 27251, (2010). 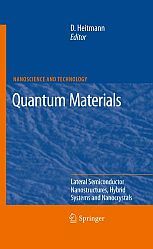 in " Quantum Materials", D. Heitmann (Editor), Springer, Berlin Heidelberg, p395, (2010). Phys. Rev. B 82, 064414, (2010). J. Phys. : Conf. Ser. 211, 012024, (2010). Phys. Rev. B 81, 100401(R), (2010). J. Magn. Magn. Mater. 322, 1353, (2010). Phys. Rev. Lett. 104, 077201, (2010). Appl. Phys. Lett. 96, 042501, (2010). J. Appl. Phys. 106, 083909, (2009). Phys. Rev. B 80, 134415, (2009). Phys. Rev. Lett. 103, 147204, (2009). J. Appl. Phys. 106, 043916, (2009). Phys. Rev. B 79, 212406, (2009). Phys. Rev. Lett. 102, 163903, (2009). J. Appl. Phys. 105, 07C308, (2009). J. App. Phys. 105, 013542, (2009). Phys. Rev. Lett. 102, 035502, (2009). Adv. Funct. Mater. 18, 76, (2008). Imaging the cone state of the spin reorientation transition. Phys. Rev. Lett. 100, 207202, (2008). Appl. Phys. Lett. 92, 242503, (2008). 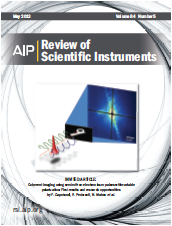 Integrated setup for the fabrication and measurement of magnetoresistive nanoconstrictions in ultrahigh vacuum. Rev. Sci. Instrum. 79, 103901, (2008). in "The Handbook of Magnetism and Advanced Magnetic Materials", Volume 3, Wiley, Chichester, (2007). AIP Conf. Proc. 893, 573, (2007). J. Magn. Magn. Mater. 316, E40-E43, (2007). J. App. Phys. 102, (2007). J. Magn. Magn. Mater. 290, 746-749, (2005). 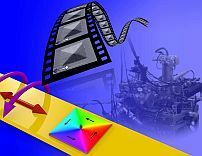 Multipolar ordering and magnetization reversal in two-dimensional nanomagnet arrays. Phys. Rev. Lett. 95, 207202, (2005). J. Magn. Magn. Mater. 292, 345-358, (2005). 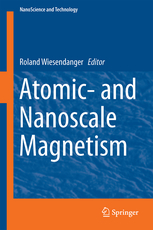 Springer Series: NanoScience and Technology XVIII, (2005). 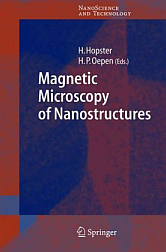 in "Magnetic Microscopy of Nanostructures", p. 137-167, Springer, Berlin Heidelberg, (2005). J. App. Phys. 97, 0J502, (2005). J. App. Phys. 97, 103107, (2005). Phys. Rev. Lett. 92, 77207, (2004). J. Magn. Magn. Mater. 268, 340, (2004). J. Magn. Magn. Mater. 283, 133, (2004). J. Phys. : Condens. Matter 16, 9037, (2004). Phys. Rev. Lett. 90, 137203, (2003). J. Phys. D: Appl. Phys. 36, 2945, (2003). Phys. Rev. B. 67, 184417, (2003). Phys. Rev. B. 67, 012409, (2003). Phys. Rev. B 68, 144416, (2003). J. Magn. Magn. Mater. 256, 237-242, (2003). Appl. Phys. A. 76, 869, (2003). Phys. Rev. B. 66, 214401, (2002). J. Vac. Sci. Techn. B 20, 2535, (2002). J. Magn. Magn. Mater. 251, 169, (2002). Phys. Status Solidi A 189, 481, (2002). Physica E 13, 1204, (2002). J. Appl. Phys. 89, 7145, (2001). Phys. Rev. B. 64, 092409, (2001). Phys. Rev. B 63, 134425, (2001). Phys. Rev. Lett. 84, 5884, (2000). J. Magn. Magn. Mater. 212, L5, (2000). Magnetoelektronik - Zukunftsperspektive für Forschung und Technologie in Deutschland. Tagungsband Statusseminar 14.-16. Juni 2000, Dresden, VDI-Technologiezentrum, Düsseldorf, 341-343, (2000). Acta Physica Polonica A 97, 431-434, (2000). Phys. Rev. B 61, 9506, (2000). Europhys. Lett. 49, 651, (2000). J. Phys. D: Appl. Phys. 32, 2599, (1999). Phys. Rev. B 59, 3329-3332, (1999). 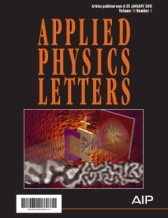 Current Opinion in Solid State & Materials Science 4, (1999). Appl. Phys. Lett. 74, 588, (1999). IEEE Trans. Magn. 34, 1210, (1998). Surf. Science 402-404, 391-395, (1998). J. Appl. Phys. 83, 6500, (1998). Phys. Rev. B 58, 11138, (1998). Phys. Rev. B 58, 3223, (1998). Phys. Rev. B 57, 5837, (1998). Phys. Rev. B 57, 5848, (1998).